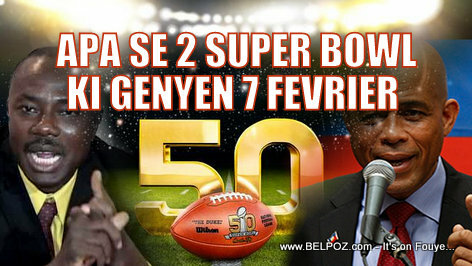 ENGLISH: Just For Laughs... Haitian in the Diaspora will be watching TWO Super Bowls this 07 Feb 2016... One Super Bowl in front of the National Palace in Haiti, and another Super Bowl at Levi's Stadium... Which one will be more interesting?? ?